How to maintain positive performance through your company's ups and downs. 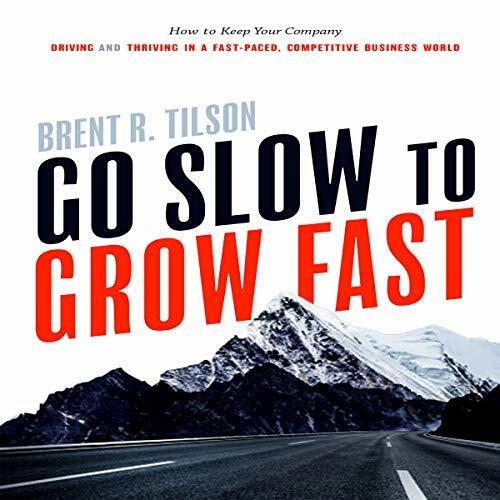 In this audiobook, author Brent R. Tilson brings to life the classic challenge that all business leaders face as they push their businesses through the conflict of growth and business capability, often referred to as the S-curve life cycle. Through a fable drawn from his work with hundreds of businesses over 25 years of experience, he creates a case study that will take you, along with the characters Frank and Susan, on a journey of self-discovery. The practical tools, methodologies, and advice are thought-provoking yet simple. Brent’s innovative use of a business’s “Lifeline,” combined with his “Quad 4” methodology, helps leaders gain an understanding of how their business is performing today and creates a road map for the future. Financial statements give leaders only a rearview-mirror look at a company’s performance. The key is to have the information to look forward through the “dashboard” showing where the company is going. Is the company in the Driving Zone or Drama Zone? Is revenue per employee growing? What is the return on investment the company is getting from its employees? What will put the company out of business? Is the company outperforming the competition? The key is to go slow and truly understand the business’s current capability; then you can make the necessary changes, adjustments, and improvements to prepare for the future - and get ready to grow fast.